Exclusively for Amazon music, The Turtles have revolutionized a holiday playlist for fans. Remaking “Christmas In Prison” by John Prine in 1973, The Turtles execute this by slowing it down with a southwest old folk element attached to it. For decades, John Prine has been intrigued by the holistic atmosphere of the holiday seasons. In 1994, he released John Prine Christmas and then again in 1995 he debuted a new album, Humidity Built The Snowman. Furthermore, Dave Simonett (Trampled By Turtles band member) admits, “John Prine has always been one of my favorite songwriters, Christmas In Prison is a great example of his ability to mix humor with heartbreaking beauty.” Moreover, the album consists of other classic holiday favorites like Billy Bragg, Joe Henry, Sara Watkins and Andrew Combs. Essentially, Trampled By Turtles are creating a mix of their holiday picks. This seasonal playlist consists of 29 tracks and is available for exclusive streaming on Amazon Music today. 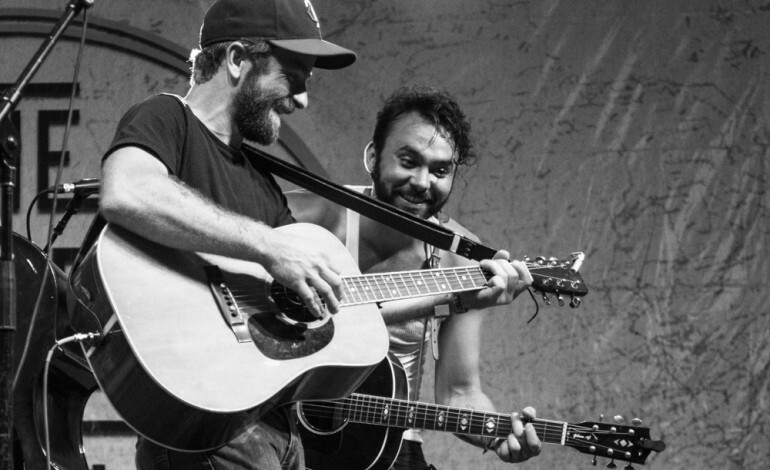 Moving forward, Trampled by Turtles is staying busy this holiday season. On January 27th, they plan on releasing a new album Furnace. Dave Simonett has made the primary focal point of this album about a difficult divorce. In doing so, Simonett highlights the suffering and silver linings associated with a relationship dismantling.